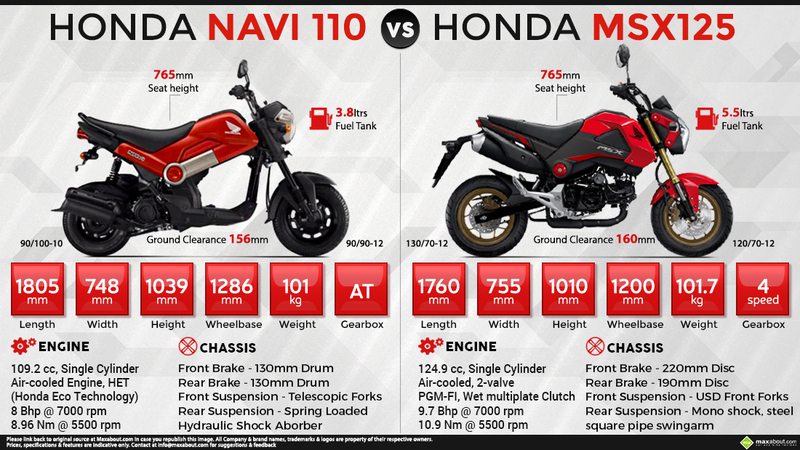 Click here to know more about Honda Navi 110. Price in UK - £2899 (INR 2.78 lakhs), but if Honda managed to localise the MSX125 in India, they would have been able to price it below INR 1 lakh (ex-showroom). Click here to know more about Honda MSX125. Downloaded 59 times this week.